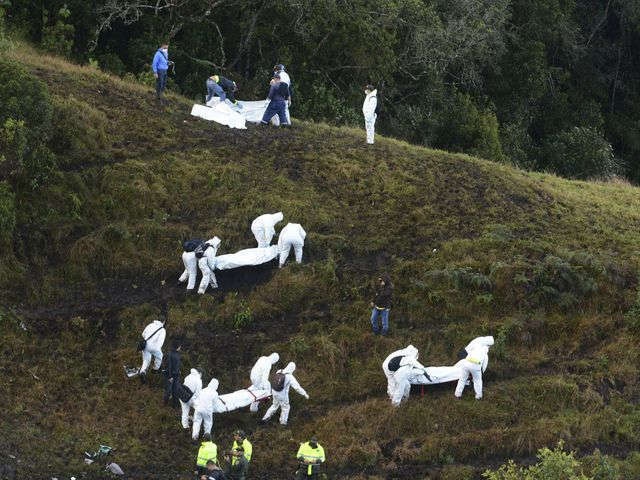 A chartered plane carrying a first-division Brazilian soccer team to a historic game slammed into a Colombian hillside Monday night, killing 76 of the 81 people aboard, authorities said. 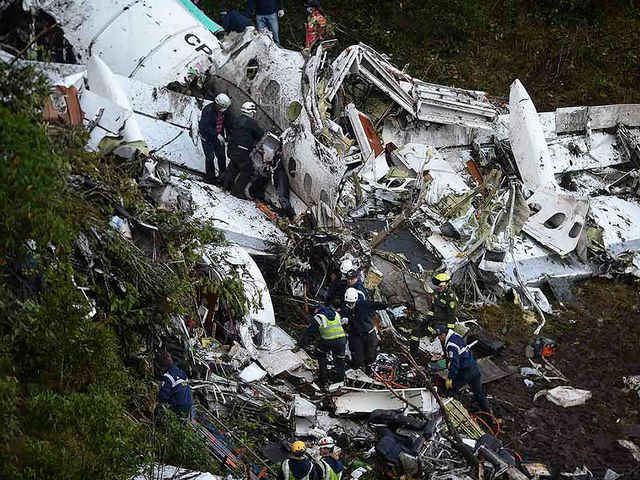 Six people initially survived the crash, but one died a short time later, Colombia's civil aviation agency said. The 72 passengers included members of Chapecoense, a Brazilian soccer team that rose from relative obscurity to play in one of South America's most prestigious tournaments. The team had been scheduled to play in the Copa Sudamerica finals against Atletico Nacional on Wednesday in Medellin. "May God accompany our athletes, officials, journalists and other guests traveling with our delegation,” the club said in a statement on its Facebook page. Juan Carlos de la Cuesta, president of Atletico Nacional, expressed solidarity with Chapecoense and requested the team be declared tournament champion. Chapecoense represents Chapeco, a southern city of about 200,000 more than 800 miles southwest of Rio de Janeiro. The climb to celebrity status was a Cinderella story that drew headlines across the nation. Less than a decade ago Chapecoense was mired in the nation's "D" league, essentially low minor leagues. In recent years it steadily rose through the ranks, reaching the top division of Brazilian soccer in 2014. Authorities said more than 20 journalists joined the team on the flight in anticipation of Wednesday's game. "The pain is terrible. Just as we had made it, I will not say to the top, but to have national prominence, a tragedy like this happens," club vice-president Ivan Tozzo told Globo SportTV. "It is very difficult, a very great tragedy." Photos from the scene showed rescue workers picking through the shattered jet amid a field of debris. 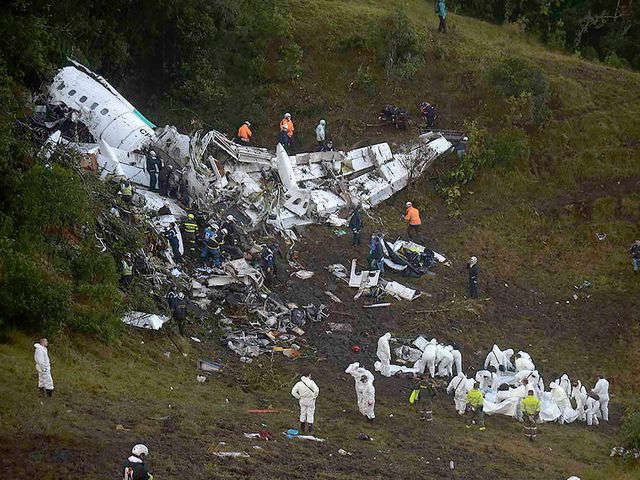 It was not immediately clear what caused the short-haul, British Aerospace 146 to crash, but heavy rains and thunderstorms hit Colombia around the time of the tragedy. The tragedy stunned the soccer-mad nation of Brazil. President Michel Temer declared three days of national mourning and mobilized the foreign affairs and defense ministries to assist families of the victims. Brazil's embassy in Bogota was reaching out to families, and planes were made available to transport them to Colombia and to aid in the search and rescue effort. "The government will do everything possible to ease the pain of the family and friends of sport and national journalism," Temer said. In the United States, Samantha Power, the U.S. ambassador to the United Nations, tweeted: #Chapecoense Cinderella dream ended tragically. Our prayers are with all those killed in heartbreaking plane crash & their loved ones." 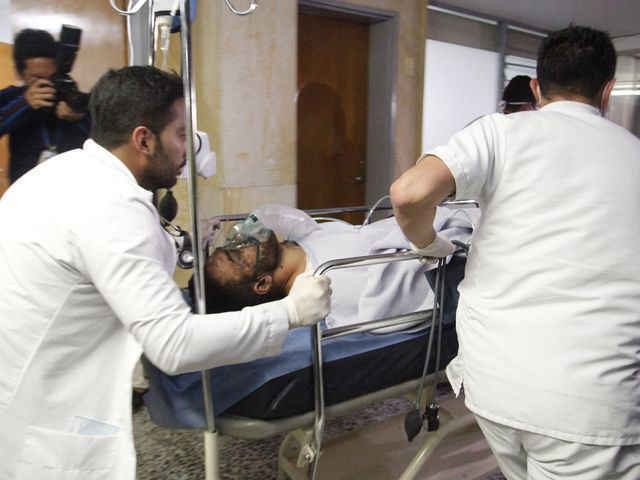 The plane took off from Bolivia and was flying over the town of La Union at around 10 p.m. when the crew declared an emergency, according to a statement from the José María Córdova International Airport in Rionegro, Colombia. 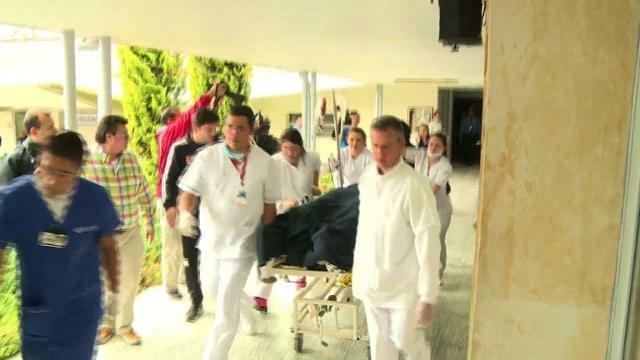 The plane crashed moments later in a mountainous area in the Antioquian municipality, about 22 miles from the airport, which serves the city of Medellin. 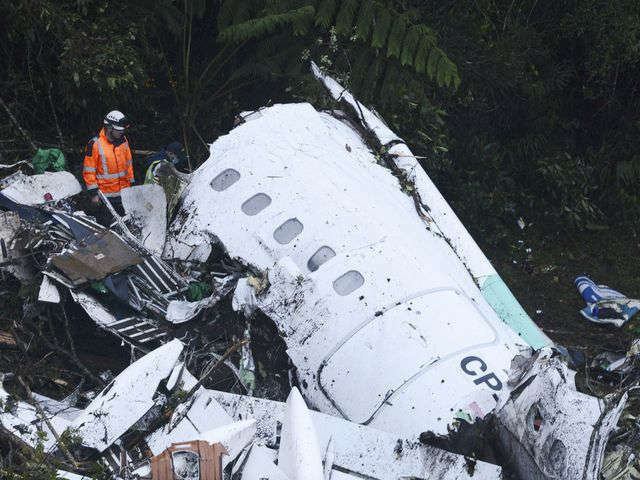 Chapecoense defender Alan Ruschel, 27, was in a stable condition after being pulled from the plane's wreckage, said Alfredo Bocanegra, head of Colombia's civil aviation agency. He said two other players, a journalist and flight attendant Ximena Suarez also survived and where taken to nearby hospitals. The club also announced one of its goalkeepers, Danilo, initially survived the crash but later died. The South American soccer federation canceled games until further notice and said its president, Alejandro Dominguez, was traveling to Medellin. Gianni Infantino, president of FIFA, the global overseer of the sport known as football around the world, expressed shock and sadness. "This is a very, very sad day for football," Infantino said. "At this difficult time our thoughts are with the victims, their families and friends. FIFA would like to extend its most heartfelt condolences to the fans of Chapecoense, the football community and media organizations concerned in Brazil." Medellin Mayor Federico Gutierrez expressed sorrow on behalf of his city. “It’s a tragedy of huge proportions,” he said.